Do you consider bears a classic D&D monster, and do you use bears in your wilderness encounters? Well, I do on occasion, but I often find that they are little over powered for a light encounter. I mean it is bear after all, and people don't normally win fights against such creatures. However, for higher level player characters Bears are pretty good encounters. 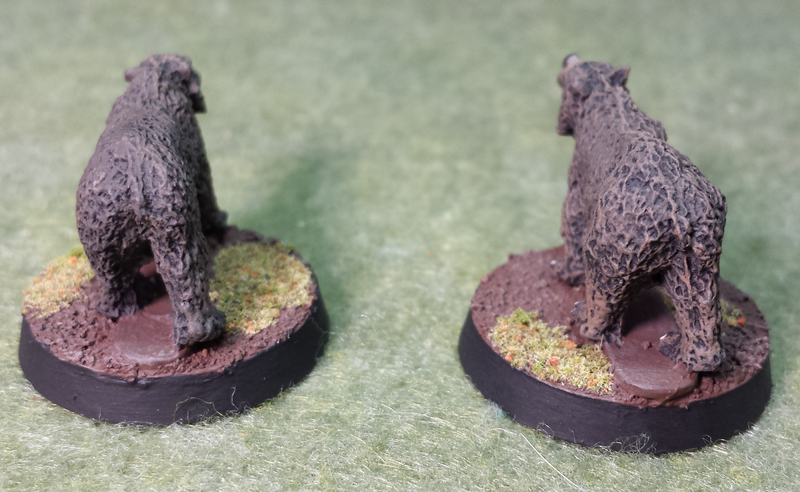 I got this pair from Ral Partha Europe's Demonworld Line, and I couldn't be more pleased with the sculpt. 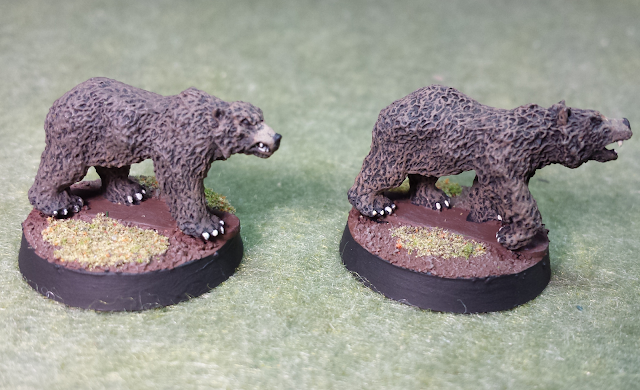 They are really nice minis and the perfect size for a brown bear or a grizzly. 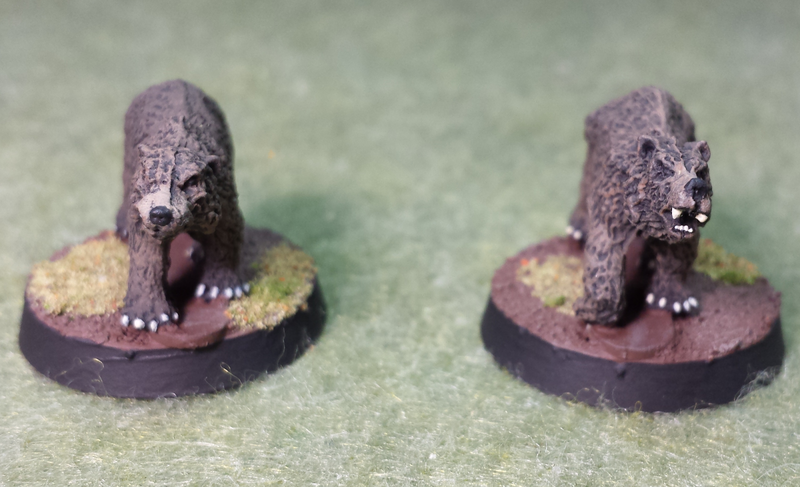 I painted these guys up a couple weeks back for use in JADE's Hymns of a Vagabond Campaign. My Character was travelling in the wilderness, and there was a chance I could encounter these mighty beasts. Thankfully I didn't. In 1st edition AD&D (the system our Hymns of a Vagabond uses) Bears have anywhere from 5-6HD, 3 attacks dealing 1d8/1d6/1d12. They are a brutal enemy to have to fight. Especial as For the larger varieties, there is a 50% chance their will be two of them. So I am glad that my Level 2 Fighter Aeklius Flint didn't have to fight them during his trip... But now that I have painted them, I am sure I am only tempting fate.